William ( Billy ) Smolinski, Jr.
"Look up, Not Down, Ahead, Never Back, Each Day, A Small Step Forward." I'm Maureen O'Donnell Sanchez, the person referenced in the article below about my sister's disappearance, Judith Erin O'Donnell. I'm wondering if you would be interested in a human interest - local story - about Judy, or about other cold cases in the local community. Judy was last seen by her family - in person - 11-30-1980. There were several sightings after that time - she was 19 when we last saw her - and my parents had more or less given up "keeping" her at home -- she was living in New York City at the time of her disappearance, the last time we saw her she was in possession of a one-way, non-refundable bus ticket from Baltimore to New York. What she represents is every girl with the dream of one day becoming an actress or a movie star. She was tall, gorgeous, leggy, talented -- but also spirited, and somewhere along the way became troubled. At whose hands, we will probably never know. She arrived, was not noticed right away, there were not acting or singing gigs, she was hungry and needed a place to stay. She spent some time at Covenant House - as many runaways do - and has an arrest record in NYC (3 times, prostitution all 3 times.) She was known to hitchhike. Also - something you never hear of anymore, but pretty commonplace in the '70s. I called Lt. Pitcher today to rule out Judy as a possible match for a Doe on his books. It was pretty quickly evident that it was not my sister's remains. I asked if he had any local press connections -- I am from Oswego, NY - where my family still resides - and now live in Oswego, IL. He wasn't sure if I was talking about the body from Lake Ontario found in 1984 or 1985 right away - which led me to ask if it was possible that it could be Dean Heaggerty, who vanished from Oswego at about the same time as Judy. Dean was also a spirited youth. The two both went to Oswego Catholic High School. (hotbed of awful activity, lots of defrocked priests). He gave me your name. I left a message on your voice mail before sending this email. Hopefully, you will not read it until Sunday, and hopefully, you are presently enjoying YOUR weekend! So much has changed since Judy went missing. Resources like doenetwork.org (which is how I found this case - as a private citizen), namus.gov - the database for identifying remains and locating missing persons (findthemissing.org), charleyproject.org, and more -- I wonder how many parents have given up hope because of the red tape that kept so much information concealed and hidden for so long ? (precincts wouldn't communicate, electronic DNA and other advanced information has changed the face of missing and unidentifieds significantly!) The nuclear power plants were being built at the time. Lots of people coming and going. Who knows how many bodies lie at the bottom of that lake, silently, waiting to be found? Who are the two that washed up? Where are Judy and Dean? Neither are adorable cherubs, they'll never garner national coverage like Caylee or Lisa (the little girl missing in Kansas City). But they each have families. Friends. Who miss them. Someone out there knows what happened. And the only way to find them is to raise awareness. Can you help? Is this a story you'd be interested in printing (or re-printing?) Thank you so much, I appreciate that you've read this far. Please Note:the folowing link has the complete story with Pictures and video. Circumstances: Angela's photo is shown age-progressed to 34 years. She was last seen at a fast food restaurant at 1:00 a.m. Her car was later found abandoned. 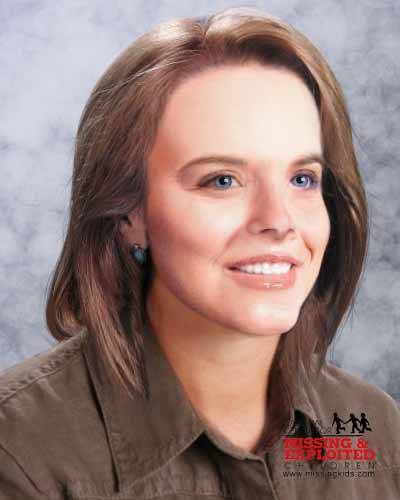 Freeman was last seen in the parking lot of the Pizza Hut restaurant on Central Avenue, in her hometown of Petal, Mississippi at approximately 1:00 a.m. on September 10, 1993. She was speaking with her former boyfriend at the time.